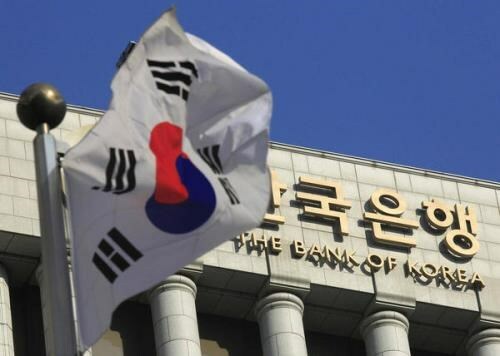 Hanoi (VNA) – The Bank of Korea (BoK) on April 13 decided to keep interest rates on hold at a record low of 1.25 percent for the 10th consecutive month to support the country’s economic growth. The Yonhap News Agency reported that the BoK held its key rates steady this month despite a recent US rate hike. The central bank vowed to keep a close watch on conditions related to trade with major countries, geopolitical risks, the progress of monetary policy normalisation by the US Federal Reserve (Fed) and the trend of increases in household debts. Last month, the Fed raised its interest rates by 0.25 percentage point, towards the target range of 0.75-1 percent. The move signaled that extra hikes would be made gradually this year, Yonhap said. The BoK explained that the US rate hike does not necessarily mean it will immediately raise its interest rates. The central bank did not hold a monetary policy meeting last month. It made a surprise rate cut last June to stimulate the lackluster economy.